Think luggage valet, and no doubt a white-gloved butler with a snappy hat comes to mind. In truth, a luggage valet is more a service than a person. Increasingly popular, luggage shipping is offered by most companies to simplify the travel process before and after your cruise experience. As a cruise streamlines your vacation once you've left port, the luggage delivery service reduces the stress and anxieties of just getting to your point of embarkation. Via a variety of companies, the cruise lines will pick up your bags at home before you depart and -- if ordered -- return them the same way. This means you travel hands-free through airports, taxis, check-in lines, security and the like. 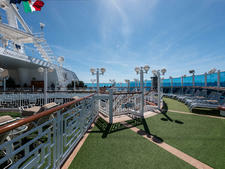 You can also book these services independently when your cruise line doesn't offer them. 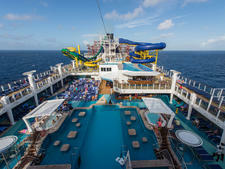 Ideally, you board the ship to find your bags dutifully dropped off in your room. Sounds perfect, right? But how does it work, and is there a catch? We'll give you the rundown so you can decide if shipping luggage to your cruise via a valet service is for you. Should You or Shouldn't You Ship Your Bags? The cruise lines partner with a variety of established luggage delivery services -- companies well versed in getting golf clubs, skis or wedding attire to far-flung destinations. Princess and Seabourn have retired their in-house luggage valet services, now collaborating exclusively with Luggage Forward, as do Regent Seven Seas, Cunard, Holland America, Oceana Cruises, Uniworld, Viking and Windstar. Crystal Cruises has instead joined forces with Luggage Concierge. So how do luggage services work? You can sign up for luggage valet through your cruise line when you book your sailing or contact a company like Luggage Forward directly and organize it yourself. Some independent luggage delivery companies might be able to set up pickup on short notice for domestic cruises, but most require about two weeks lead time for pickup in order to deliver to your embarkation point -- especially if it's overseas -- on time. That means you'll travel luggage-free through the airport, skip the interminable wait at baggage claim and find your suitcases neatly ensconced in your cabin when you arrive. In the case of international shipments, all luggage must go through customs. There have been reports that these bags attract closer scrutiny, which can result in delays. The delivery companies do intervene, but they cannot guarantee speedy results, and therefore refuse to be liable for delays caused by customs inspections. So, ship your luggage early to allow for some buffer time in customs. You can also use traditional courier services like FedEx or DHL. If your cruise departs from a domestic port, select FedEx Ground for the most economical FedEx rates. Or you can have your bags delivered to a FedEx location near the port, where you'll pick them up yourself and take them to the ship. Shipping luggage is a pricey proposition, but the decision to go valet instead of lugging your own bags often has more to do with convenience than anything else. In most cases, checking your luggage with the airline will be a cheaper proposition unless you're taking a lot of baggage -- as may be the case with a long world cruise -- and need to pay for bags beyond what the airline may include on a complimentary basis, or if your bags are heavy and you get hit with the airline's usually hefty overweight/oversize penalty fee. However, if you prefer to travel without lots of cumbersome luggage, you might feel the fee to ship your bags is good value. If you or a travel companion has a mobility issue or uses an assistive aid (like a cane or walker), getting through the airport can be a trial made even more difficult when you also need to ferry your own bags. Even a small carry-on can be a pain to manage if you're also using a cane. Depending on your situation, the cost of shipping your luggage to your embarkation point (and back home from the cruise) might be worth any extra expense. Pricewise, all of these delivery services are competitive and generally include insurance and a customs clearance option for international shipments. Exact pricing depends on where the luggage is picked up and delivered, as well as the speed of delivery. Expect to pay $5 to $8 per pound for one-way domestic shipments and $5 to $10 for one-way international deliveries. For example, we priced a 50-pound suitcase with Luggage Forward. Pickup was from a home in Miami, and delivery was to the Port of Barcelona. One option required pickup of the bags 11 days in advance of embarkation, while one shaved that down to nine days. (Extra time is used as a buffer to get through customs.) Select 11-day delivery cost $294, while Preferred nine-day delivery was more costly at $334. (Often, your luggage will arrive earlier than the stated timeline; a lot depends on how smoothly the customs process goes.) When we checked, pickup from a home in Miami between the hours of 1 p.m. and 5 p.m. was free with a $49 surcharge for pickup windows outside of that timeframe. Some cruise lines have tweaked the concept to offer their own versions of a luggage delivery service, with more affordable rates. 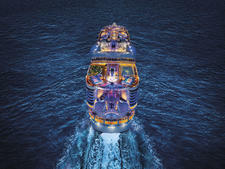 Royal Caribbean offers an onboard service that enables passengers to bypass traditional airport check-in on the way home. Passengers check in onboard the ship and receive their airline boarding pass, luggage tags and baggage claim checks. Only available at certain ports and in conjunction with certain airlines on seven-night sailings or longer, the program carries a minimal fee, plus airline luggage fees. Passengers staying in Grand Suites and above receive the service for free. Specific port qualifications can be found onboard at the guest relations desk during your cruise, though the service needs to be booked before the day of departure. Similarly, Disney offers cruise travelers who are staying pre-cruise at any Walt Disney World hotel a transfer service to Port Canaveral, which includes your bags delivered directly to your cabin on embarkation day. The cost is $39 per person for a one-way transfer and $78 roundtrip. The line also has an onboard airline check-in service, exclusively for those who have purchased Disney Cruise Line air or ground transportation. It allows passengers to check in for their flights, receive boarding passes on the ship and have their luggage checked and delivered through to the airline. 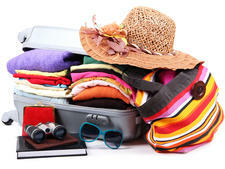 In the end, the luggage valet choice boils down to your needs and preferences. If you are the person who likes to plan ahead and can stand to pack far in advance in order to breeze through the airport muddle, then these programs are for you -- especially if you have the means and desire to pay more for convenience. If you're a last-minute maven and are physically able to cart your suitcases around, then you will probably want to save your money. Of course, you'll be dragging your bag through all those travel barriers. And those folks who signed up with the metaphorical luggage butler? Yeah, they'll be whizzing along, hands-free, sipping lattes.